The Sardis Swim and Racquet tennis program started in 1968 with the completion of our first two tennis courts. Since then Sardis has expanded to a total of 9 courts (6 hard surface and 3 clay). Our lighted courts are open year round and night play. Sardis offers competitive and recreational programs for different skill levels. 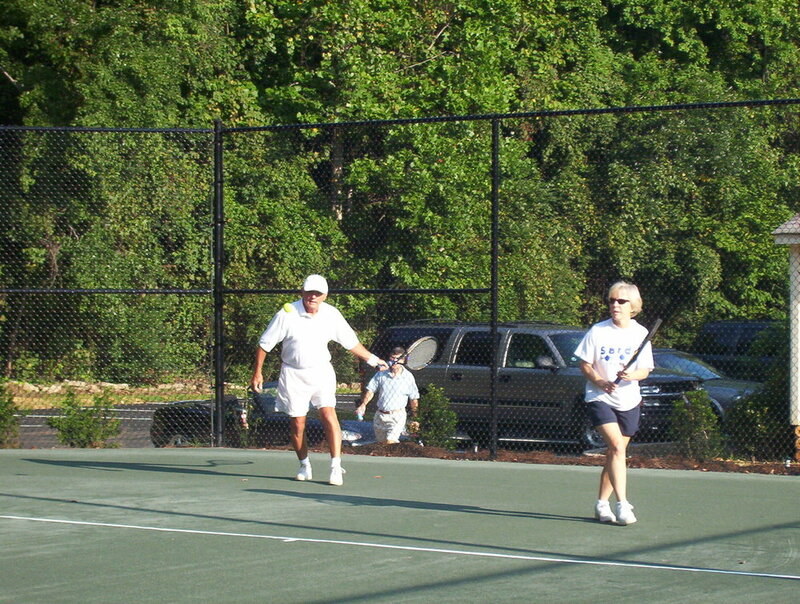 Adult programs include Men's and Women's USTA and Queen City, classes ranging from the beginner to advanced as well as Cardio Tennis. Our Junior programs include USTA Quickstart, High Performance as well as classes for preschoolers thru high school level. We are very proud of our tennis program and attribute its success to our professionals and the numerous volunteers that contribute to the program. If you are interested in learning more please contact Eric Abrams or click on the Programs icon below. In the event of inclement weather, please call the Tennis Office at 704.367.4980 to be advised of any status updates regarding programs, classes, or match cancellations. A voice mail greeting will provide the latest updates no later than 3:30pm that day. Cancellations will be based on the forecast and our best judgment. Please contact Eric at 704.488.2709, if unable to get through to the Tennis Office voicemail.